Agora Gothic Long Sleeve T Shirt. 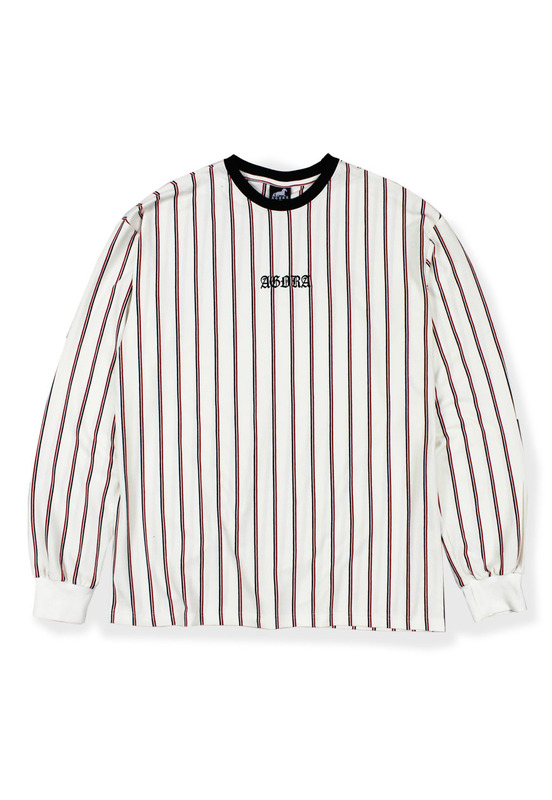 Medium wieght cream cotton with black/red stripes and matching cream cuffs. Generously sized t shirt with embroidered motif.